So, it has been a long time sinse my last update. 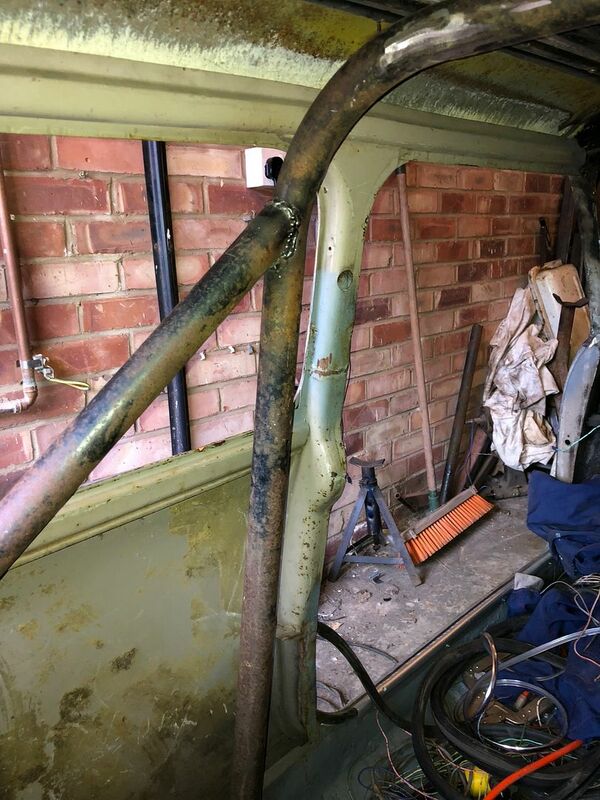 But I have now welded in P/S rear shock tarret. I can go and fit rear brake calipers and so on. 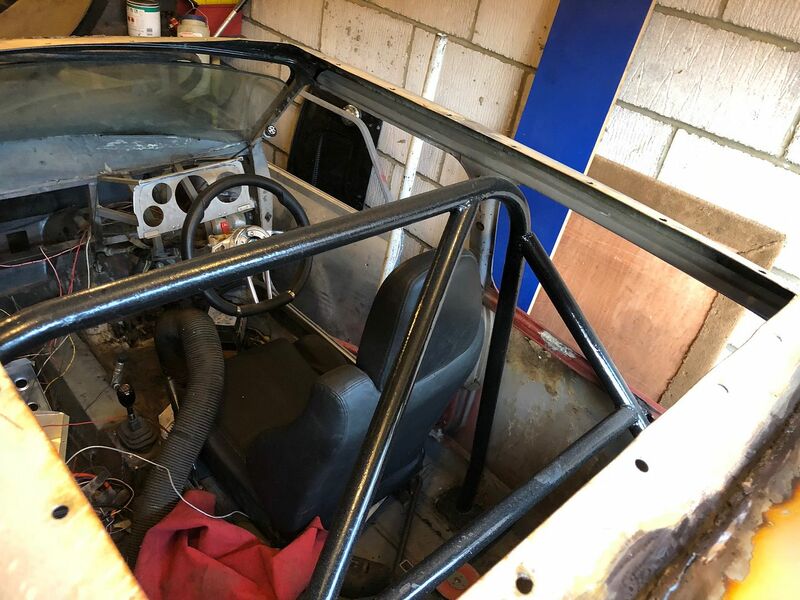 I have to think of how I'm going to fit hand brake cables! Long time... alomost over month! 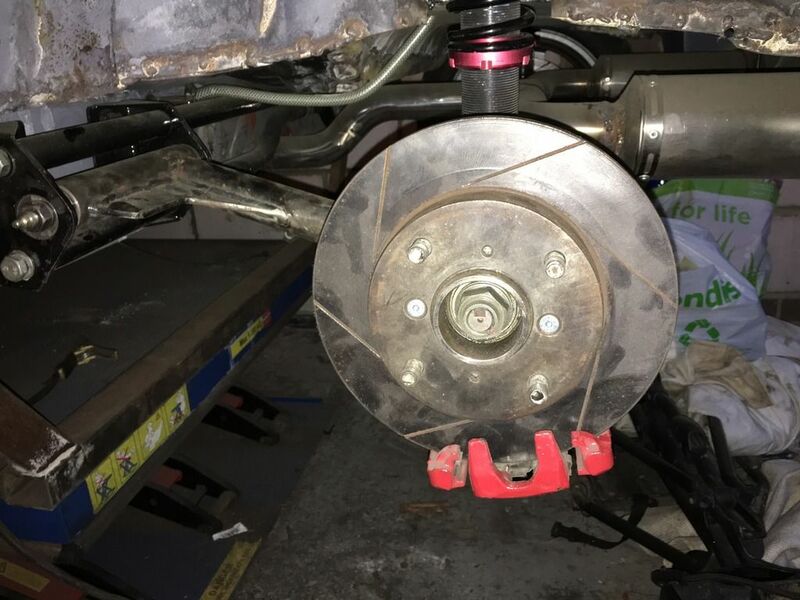 Anyhow, I managed to connect all of rear brakes setted up. Also I have managed to bleed rear disc brakes with proportion valve fitted. I will start to bleed front disc brakes and hopefully I can change my gear shift mechanisms as I know the length I needed to make it into. 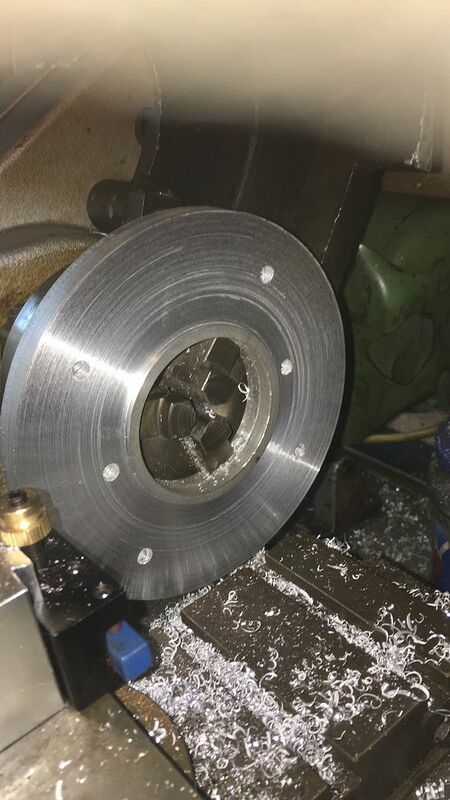 2 months ago, I bought myself a MyFord Lathe. It is small one but it is better than taking what I want to machine to 230 miles away to use my workshop down south. So, after making my rear suspension setup. I only found out that I need 10mm spacer to clear my Hayashi street alloys and tyre. I think this is good chance to see £400 I spet was good investment or not!? 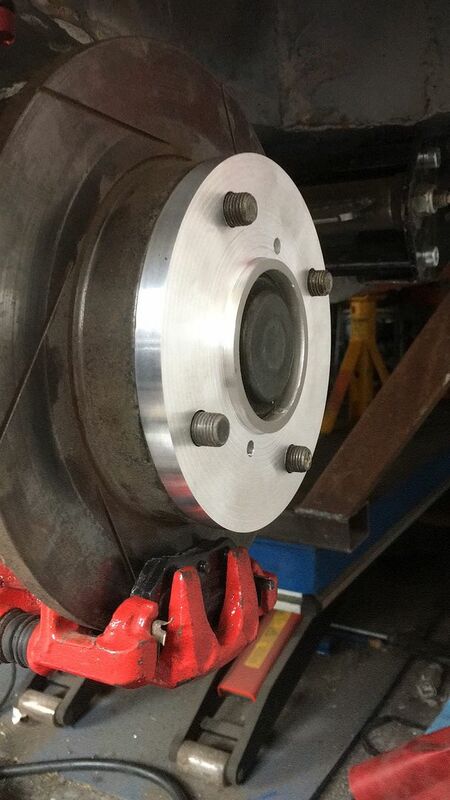 I needed to make a spigot ring built in as these wheels are made for AE86 not Mini or Swift Gti setup! As you can see in a below photo, I will need to fit longer studs! With these spacers, I can take my car down onto my 4 wheels with brakes! Today was my fast test drive! Yeah, it works and I need PAS working! I can't get the video to work. I can start back on my Mini again. This time I have changed steering arms to Copper S item. They are much chankier than orginal so it is a bit of piece of my mind. Last edited by miniswift; 29-10-2017 at 04:39 PM. I need to work on front screen. I need to either re-do top or add more metal. I think I would it again as it will make better finish. I made steering wheel adaptor for snap off boss to take my better steering will with flat bottom and Suzuki Sports Horn button. I will take a photo and post it soon. This weekend's effort so far. Start off with where I need to cut to be marked! Just checking... measure twice and cut once. 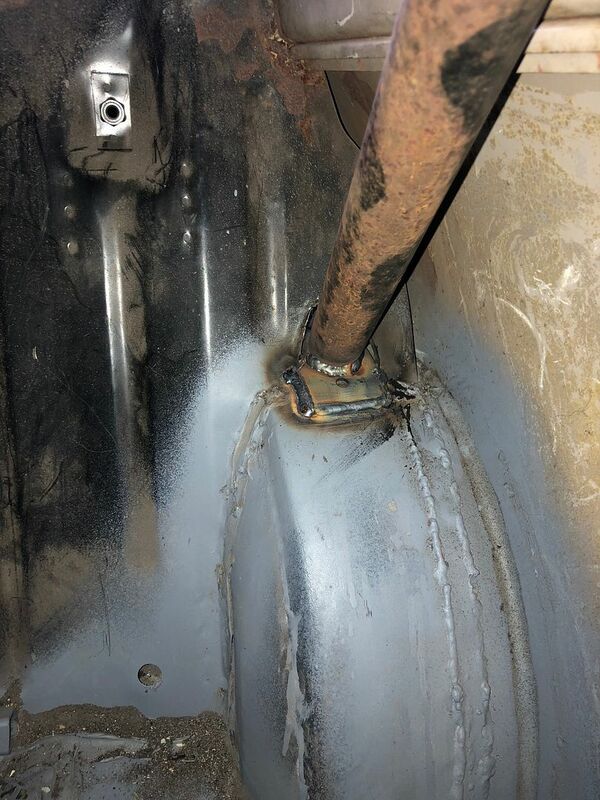 After screen was placed in front to check then weld. Top left side looks good. Top right looks good also. I shall continue with this for a while then front screen will fit! So, I have been busy making more mess! 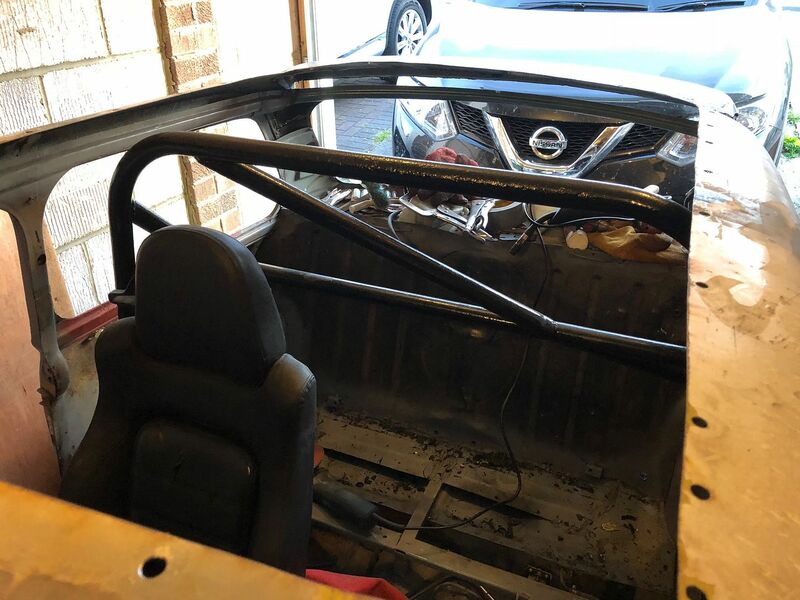 I got hold of old Safety device roll cage but it won't fit due to 2" roof chop. I have cut 3" off leg due to my Websto sunroof. Wheel arch bit needed to go into boot a litle to get nice angle of 45 degrees. 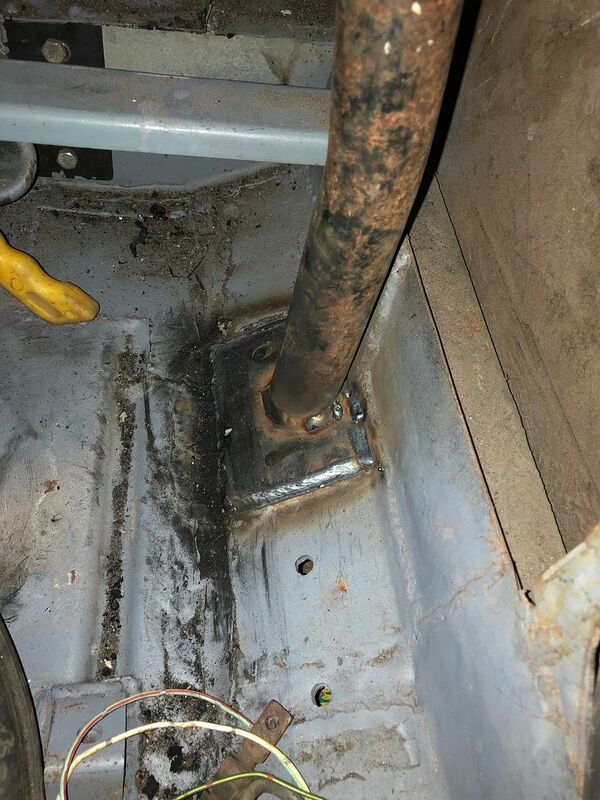 Then floor is welded with 4mm plate. Just to let everyone know it is not standard! 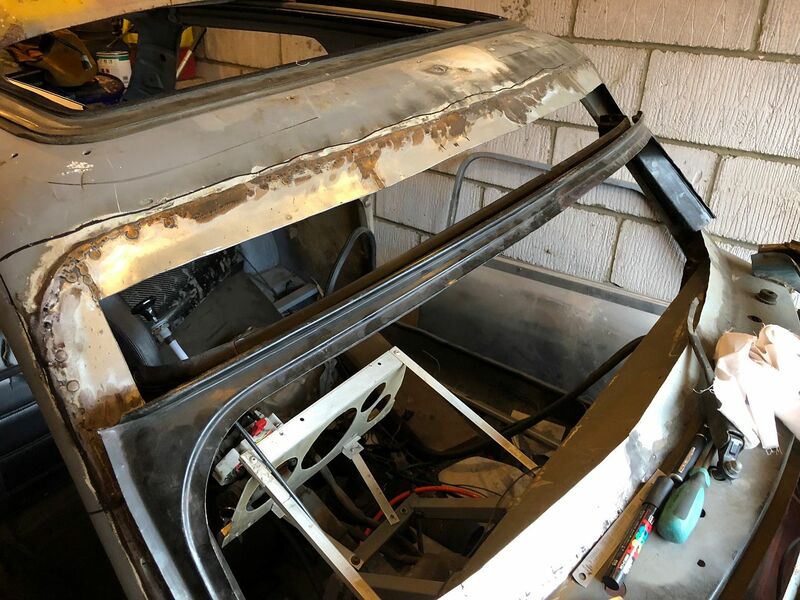 I shall start to cut into driver side next weekend, I hope! 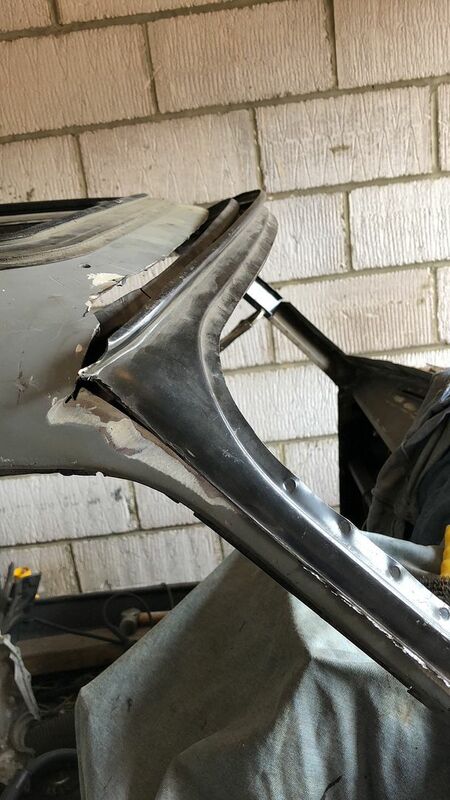 So, my wheelarch was fouling with my tyre and cutting nice piece of fine groove into it. 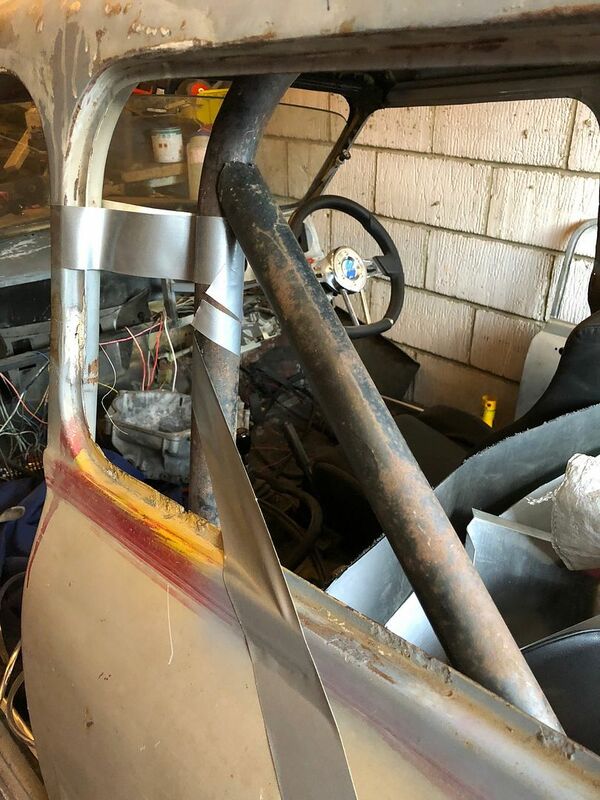 I have cut a new wheel arch extension and welded in. 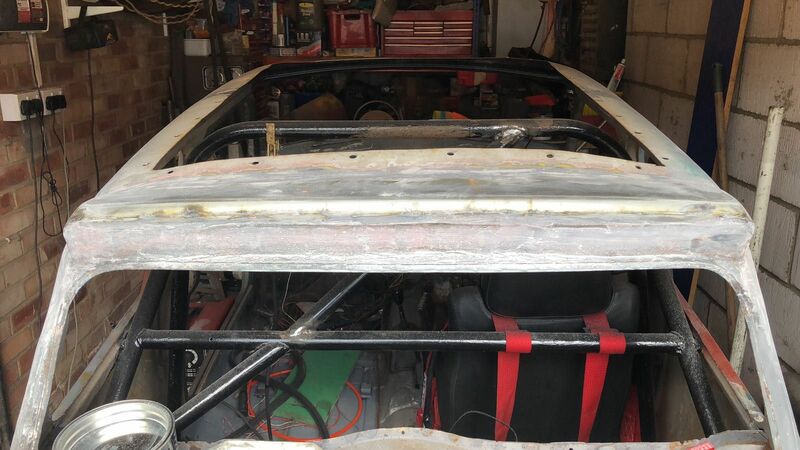 Then I finshed off my roll cage. 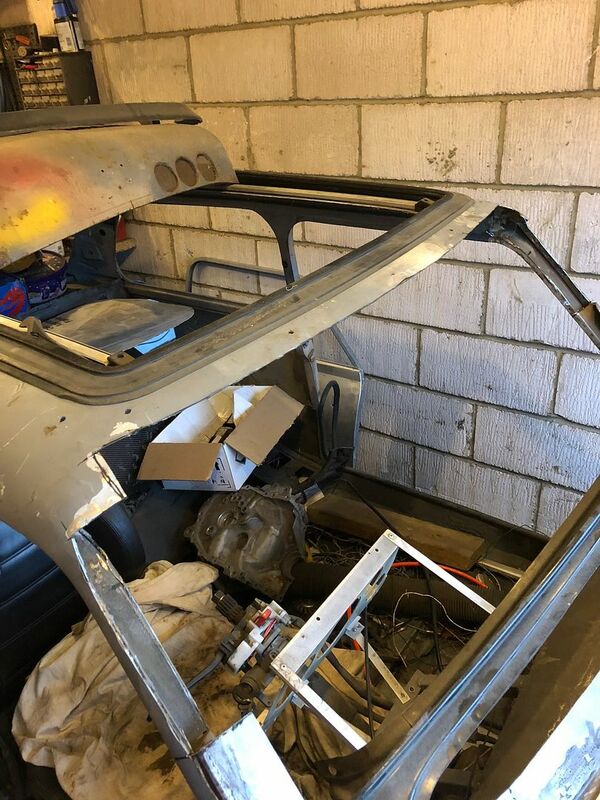 Only it is raer cage at the moment but I took my Webasto su roof out so I can weld in nicely from the above. 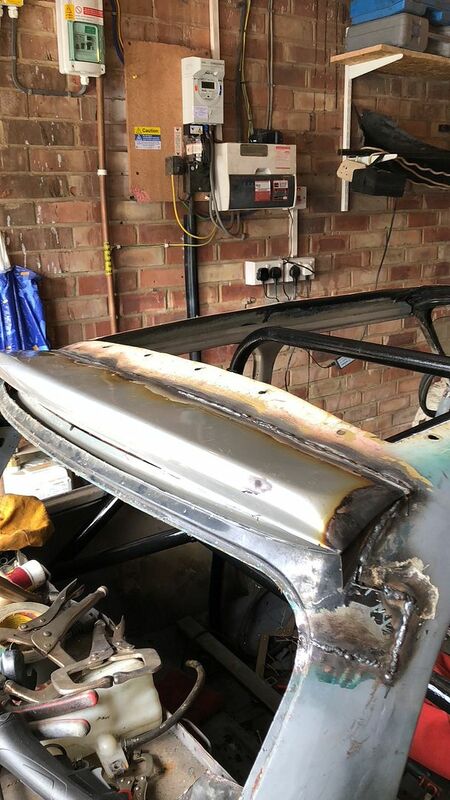 Then I have started to weld in a rear spoiler. 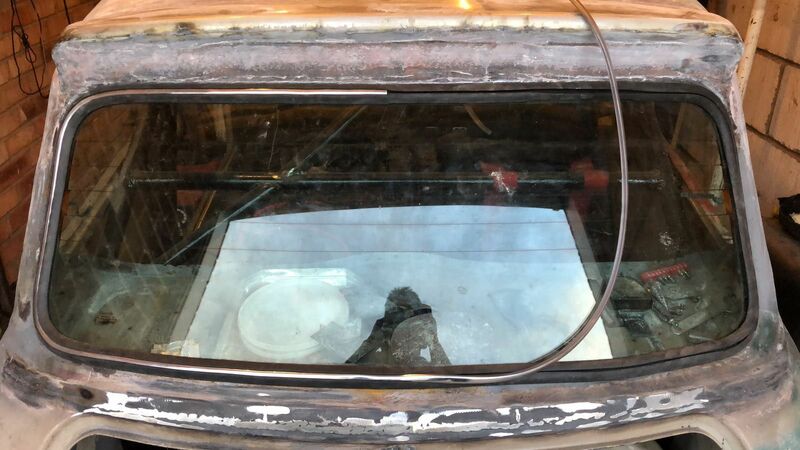 I'm doing this as I have cut out a quite a lot of material to fit my rear screen. 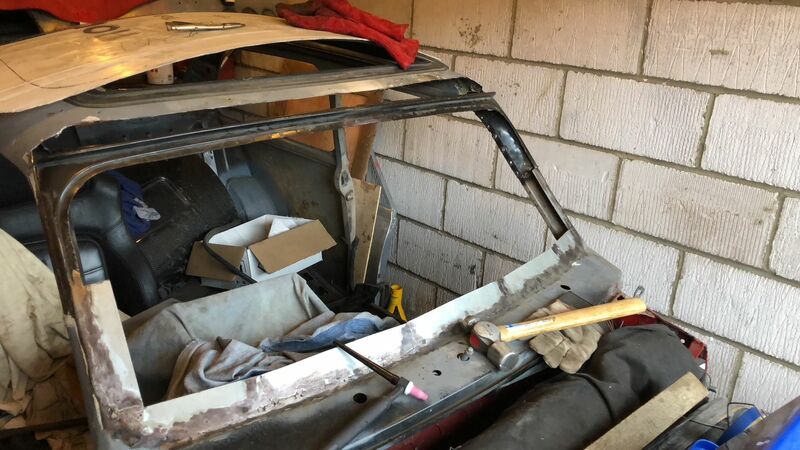 So, I managed to spent 4 hours today in my garage! 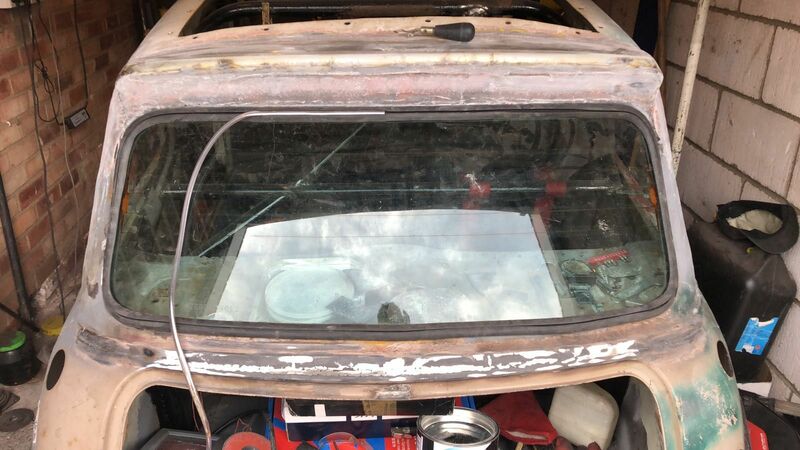 I have cut template and welded in metals in above the back screen. Then I put glass fibre paste on it. 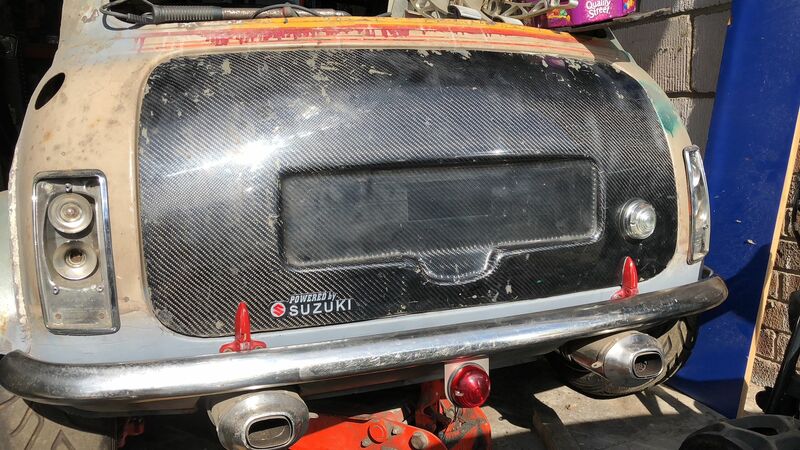 Then tried fitting rear screen in. Just make sure I can fit a filling strip. It goes around all the way to half way, so sucess!